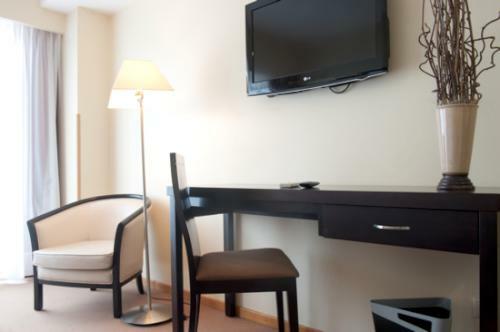 Oslo Coimbra Hotel is located close to the old city walls and right on the banks of the Mondego River in the heart of the historic city centre of Coimbra, Portugal. 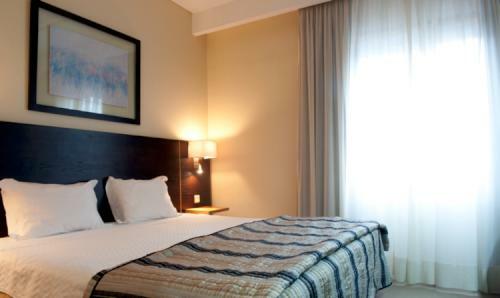 A family-run hotel, this makes a pleasant alternative to the more faceless offerings of some of the larger hotel chains and deals excellent value for money. 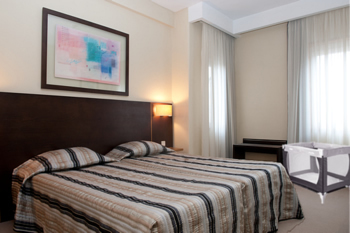 Thanks to its positioning, almost every room is treated to stunning panoramas over the city rooftops or to its famous university building, which means this is the perfect base to start from. 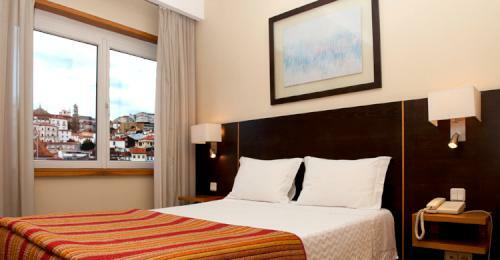 Oslo Coimbra Hotel offers comfortable rooms decorated in a contemporary style with high quality materials, set off to perfection by the eye-catching artworks commissioned from a well-known local artist. 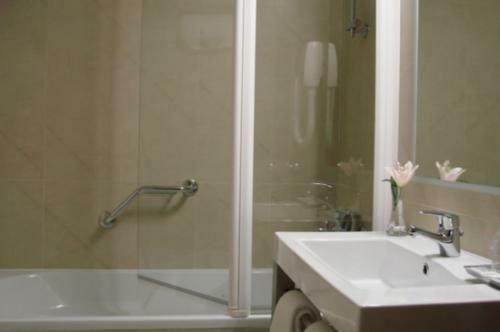 All rooms are equipped with air conditioning, direct dial telephone, TV with satellite channels, in-room safe, private en-suite bathroom with hair dryer, double glazing for extra comfort and free wireless internet for use by all guests. 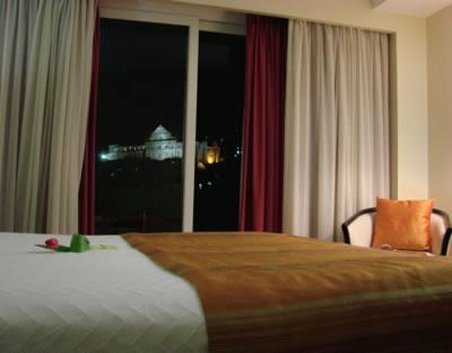 Superior rooms are distinguished by their full-height windows and generous balconies with panoramic views, plus large LCD televisions and king-sized bed, while standard rooms feature either a king, queen or two twins. Be sure to state your preference at the time of booking. All rooms offer guests the option to order from their unique pillow menu, to ensure a good night’s sleep no matter what their pillow preference. 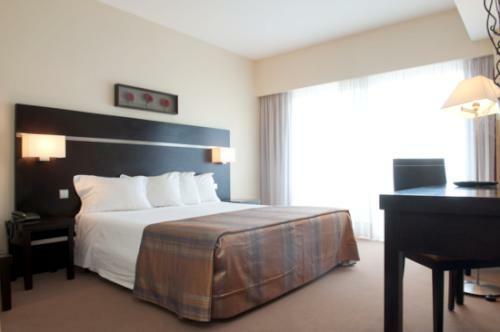 The Oslo Coimbra Hotel caters well for families during their time in Portugal, with triple rooms available for families requiring one extra bed, while family rooms offer extra space for those travelling with two children or more. 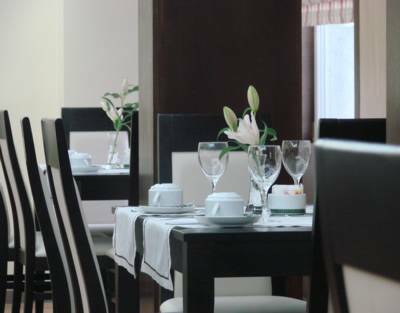 Cots are free of charge on request and safe highchairs are available for use in the restaurant. 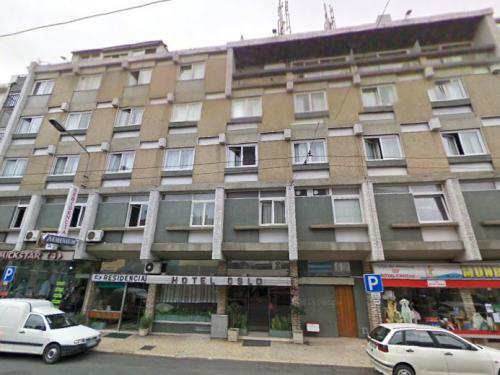 If you are travelling with your pet to Portugal, the Oslo Coimbra Hotel even offers pet-friendly rooms for your furry friend’s comfort. 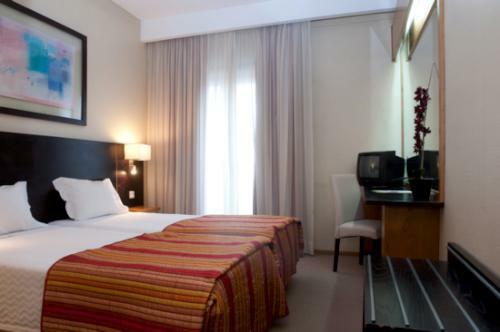 Hotel services include a delicious buffet breakfast included within the room rate, featuring plenty of local produce from Coimbra and the surrounding area. Parking is available for those who arrive by car and Wi-Fi is accessible throughout the hotel. 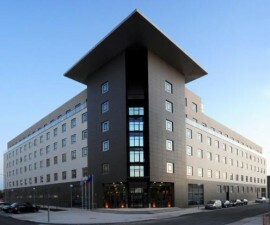 One of the most distinguishing features of the Oslo Coimbra Hotel is its delightful rooftop bar. 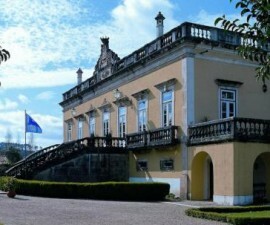 Cameras are essential as visitors are treated to arguably the best view over Coimbra, including the business district, historic city centre, famous university complex and the river. Drinks and light snacks are available from morning to night at this popular spot.